Positioned at the end of Darwin’s Esplanade with picturesque harbour views, DoubleTree by Hilton Hotel Darwin holds a firm place in the hearts and minds of the local community. The building was one of the few remaining after Cyclone Tracey hit in 1974 and subsequently, it housed many residents who lost their homes. Coinciding with its 40th birthday in 2014, the DoubleTree has undergone a $5 million transformation of its bathrooms in all 184 of the hotel’s guest rooms. Award-winning local architects, Bell Gabbert Associates were contracted to bring the bathrooms to life, creating spaces for guests to linger, relax and re-energise. GWA Bathrooms & Kitchens was appointed to supply fixtures and fittings across the development. 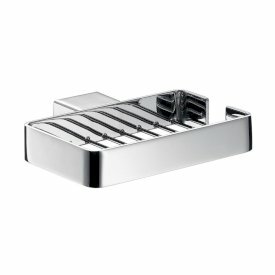 A full suite of high-end bathroom fittings was required that combined luxurious style with water and energy saving capabilities. 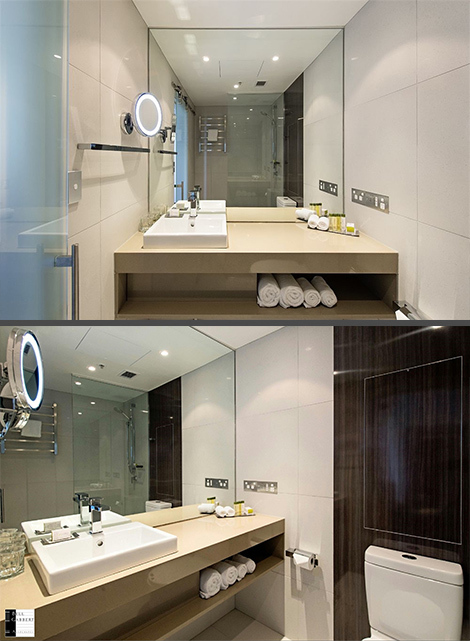 Fusing understated elegance, contemporary styling and practicality, the Caroma Stirling toilet suite was an ideal choice for the hotels’ new bathrooms with its seamless flush-fitting installation, stylish low profile chrome plated buttons and ultra-quiet, fast-filling cistern. Designed with Caroma’s Smartflush® water saving technology, it achieves a 4-star WELS rating for water efficiency. 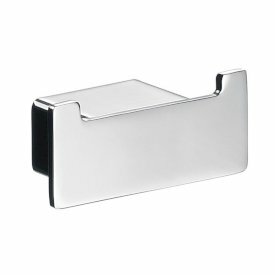 Caroma’s Liano Nexus Basin was selected for its sharp lines and contemporary, square styling, bringing an architecturally minimalist style to the hotel’s bathrooms. 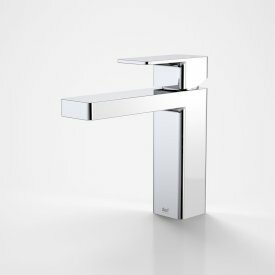 Dorf’s Epic basin mixer was also selected, captures the essence of luxury and contemporary bathroom style with its elegant, minimalist profile. Also installed was the sleek, sophisticated Emco accessory range from Starion including the Pinto 3 Shower on Rail, Loft Sponge Dish/Wire Form, Loft Towel Rail 600mm, Liason Toilet Roll Holder, and Loft Hook Double.